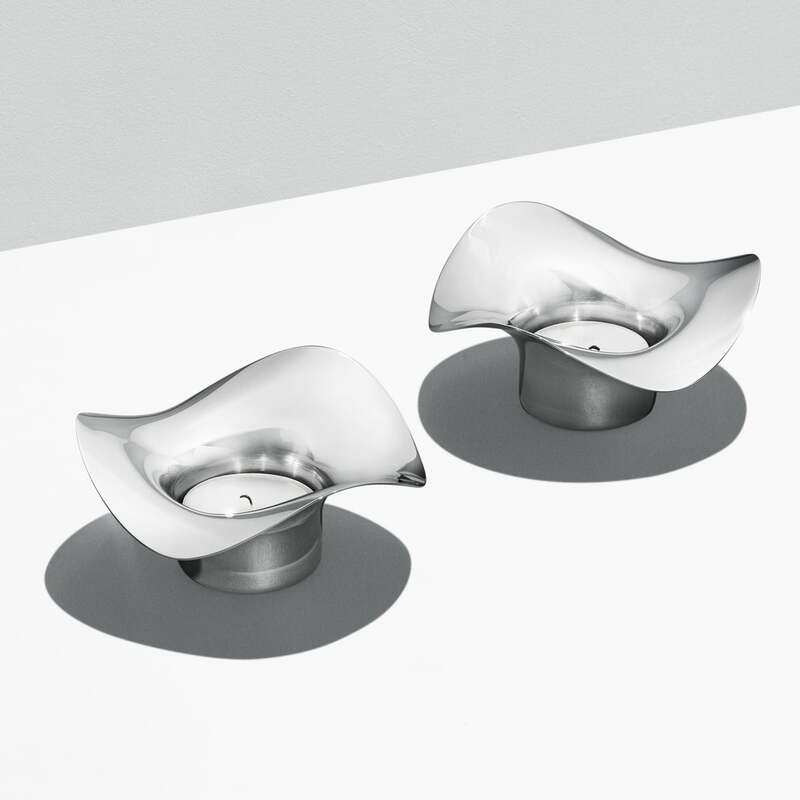 Holder for tealight candles with a wave like edge from the Cobra collection, designed by Constantin Wortmann. The unique shape gives poetry to the design and remains elegant at the same time. The tealight candleholder made of polished stainless steel is available in the set of 2 and completes any table decoration with elegance and something unexpected. The tealight holders can individually be arranged on the table or the chest of drawers in the living room, connecting harmonic lines with warm candlelight. The most important aim of all the members of the Cobra family is to connect this elegance and harmonic outlines with a small touch of the unexpected. , according to the German designer Constantin Wortmann. 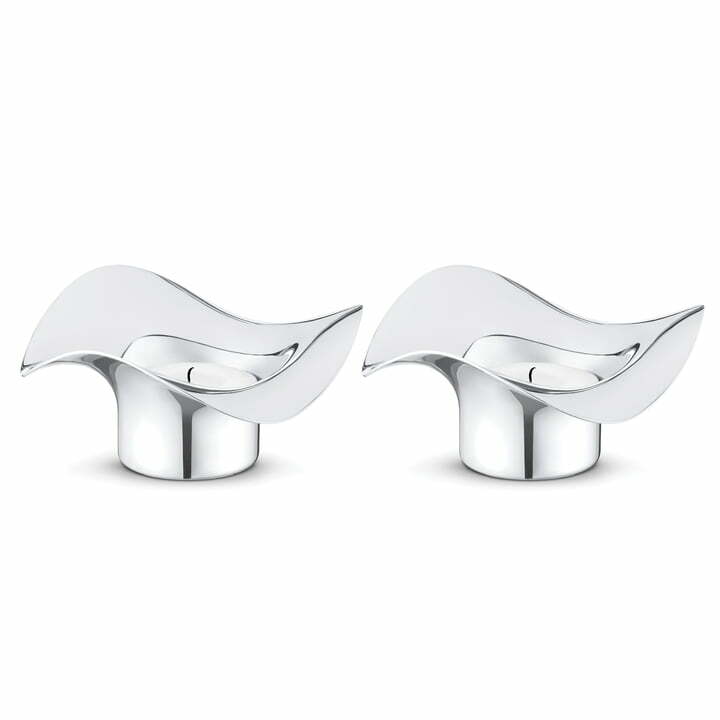 The almost flowing expression gives a dynamic presence to the Cobra objects by Georg Jensen on any surface, transforming them into stylish furnishing items and elegant eye-catchers with their functionality. Details The candles are not included in the delivery! The design by Constantin Wortmann brings something unexpected intp the collection of Georg Jensen. His designs have a slightly emotional component without losing elegance.